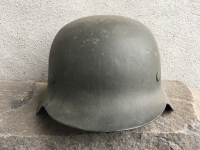 This helmet was recently pulled out of my very own private collection not because I want to sell it but because as life has it the wife wants a pool this year. Next year I want a Triumph Rambler so fair is fair. 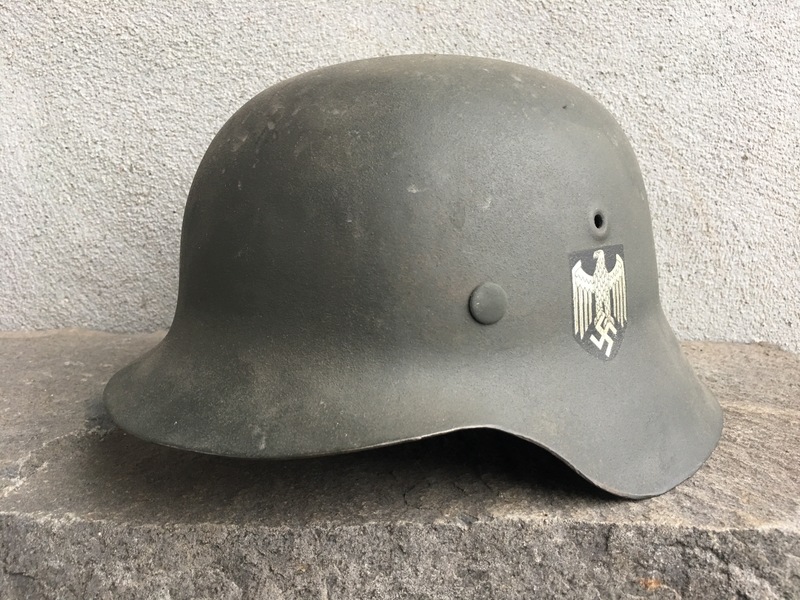 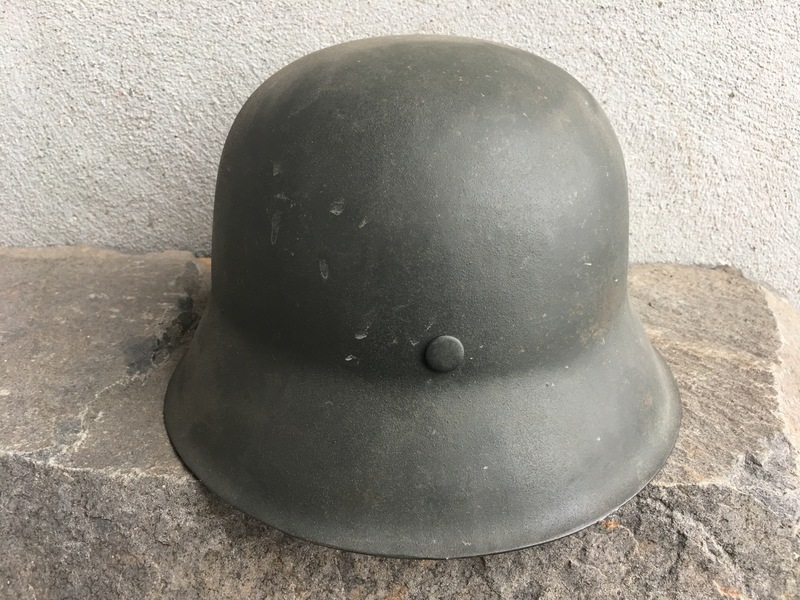 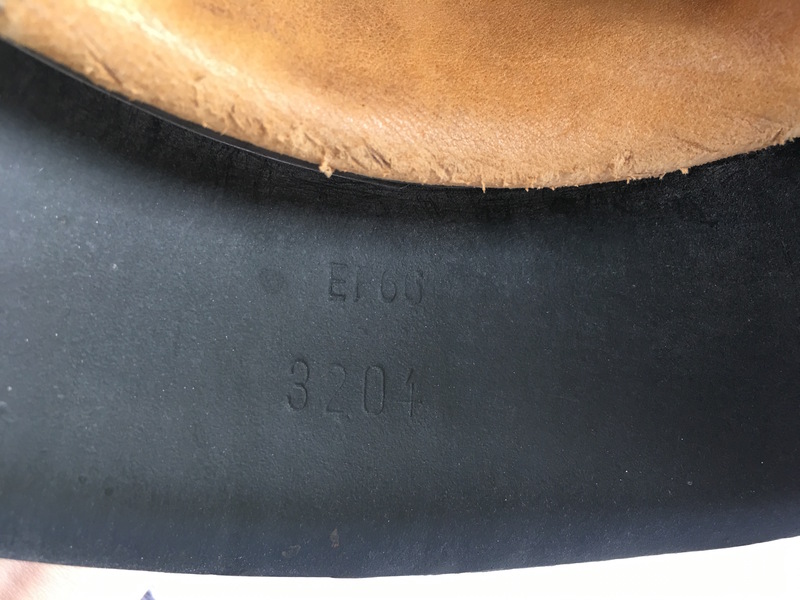 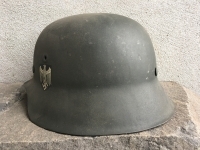 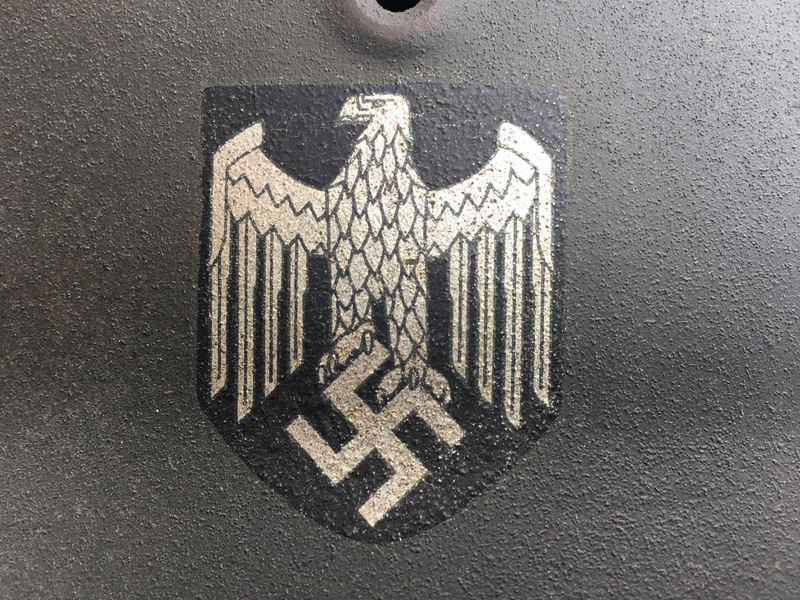 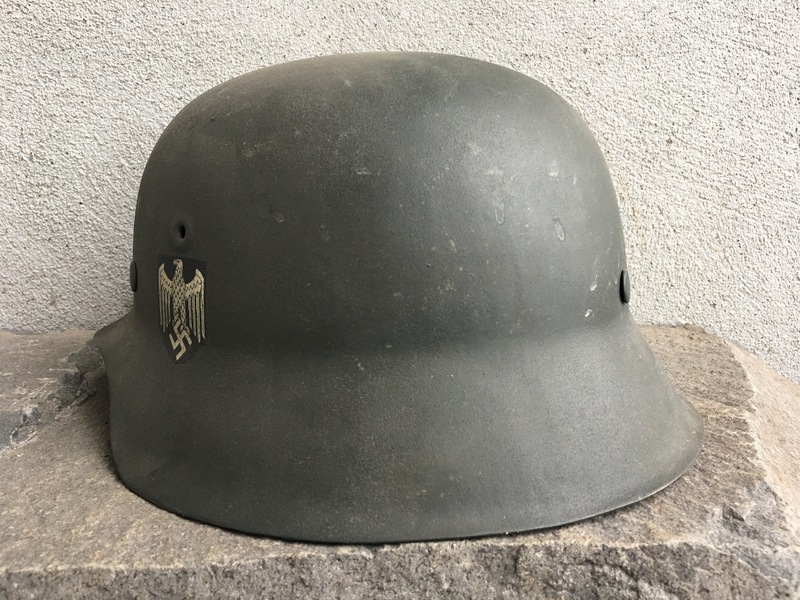 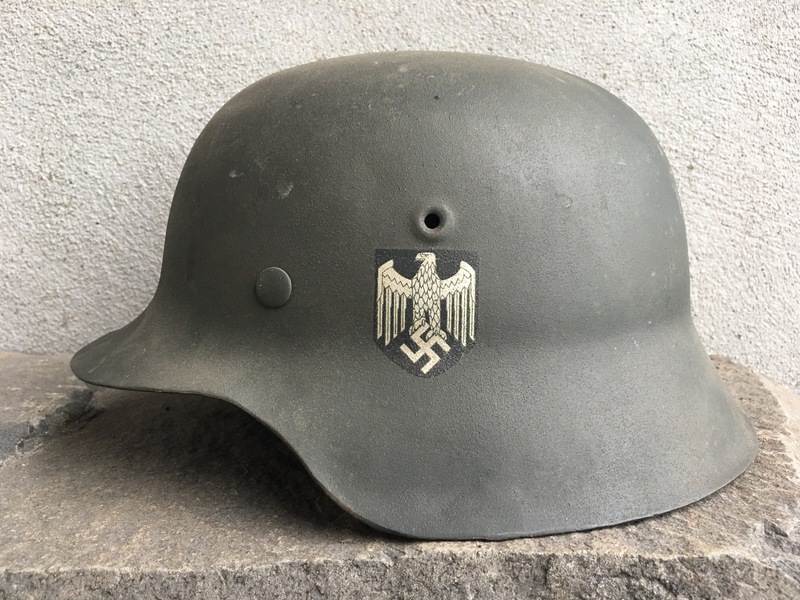 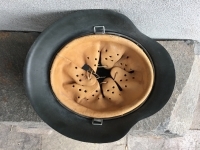 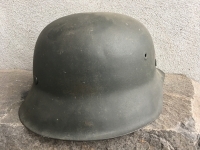 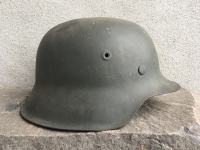 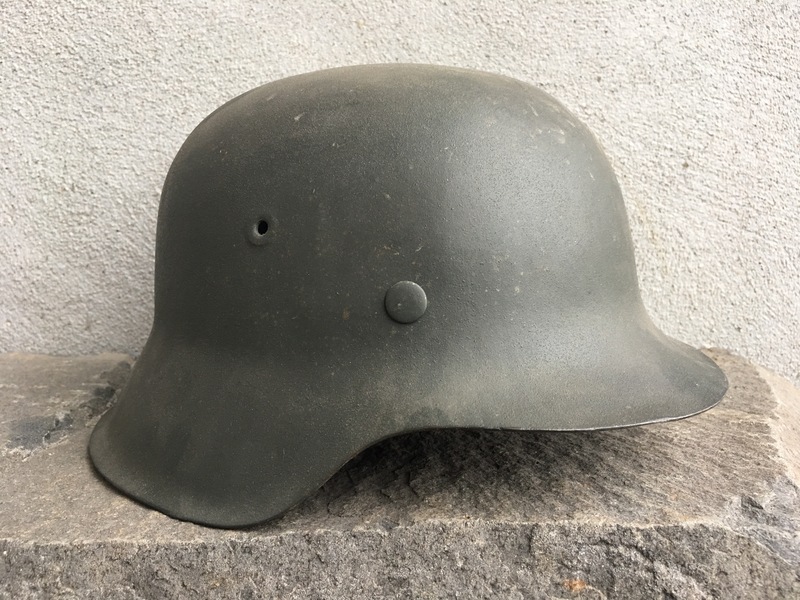 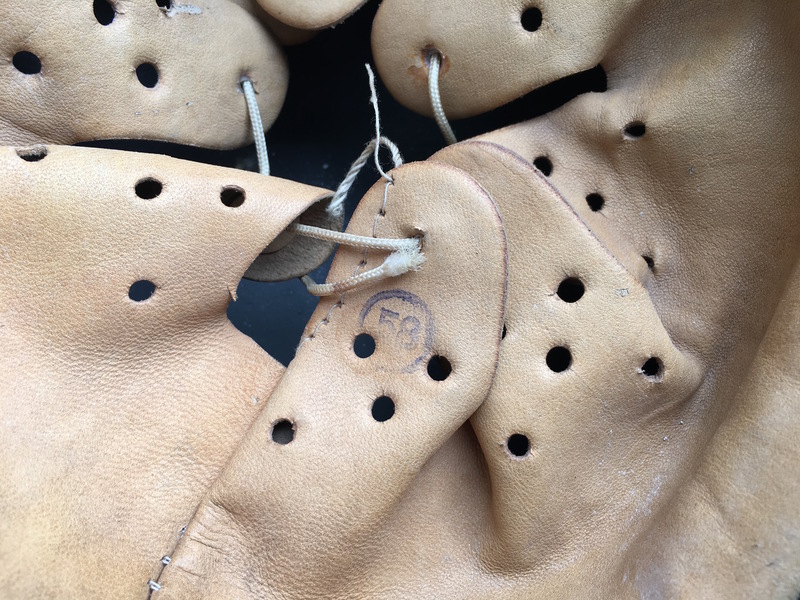 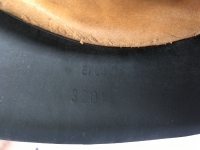 This helmet is a nice size large EF66 and so will fit most modern heads of today and was produced sometime most likely in early 1943 by Emaillierwerke AG in the city of Fulda, Germany as rear marked 3204 lot number would suggest. The EF show it’s unique shape with flared edges and a slightly menacing flat top. 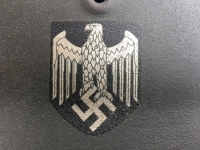 The Heer eagle is dead mint at 100% with only some slight tea toning. Overall paint both inside and out shows very little wear and so I doubt that this particular helmet was ever issued. The inside liner is sheepskin and very soft and pliable with little to no signs of actual usage. 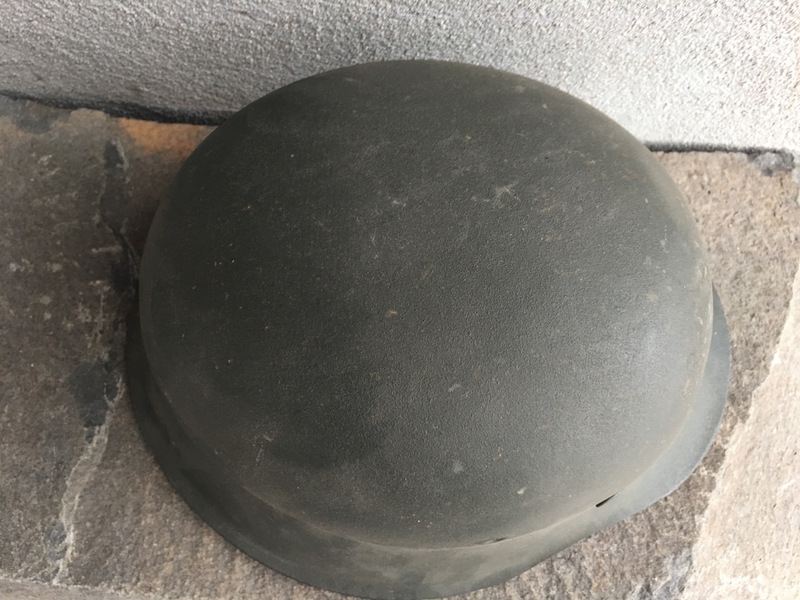 This helmet has been in my personal collection for some time now and came out of a family estate in Arizona a number of years back. 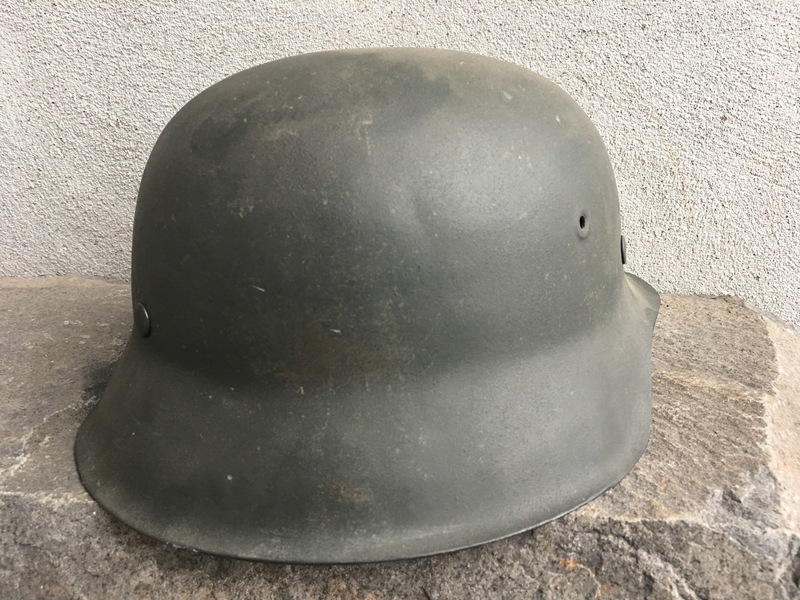 Perhaps the dry arid conditions kept this helmet in such good shape over it’s past 75+ post war years.